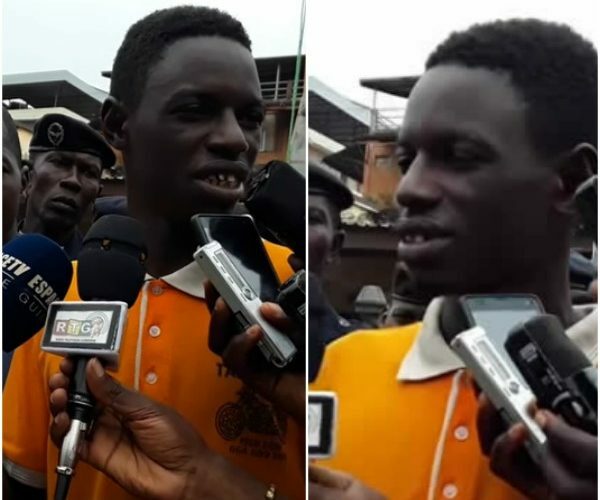 A Guinean thief who didn’t imagine he’d be caught soon has congratulated the police for arresting him. He felicitated the police while being interviewed after he was caught. 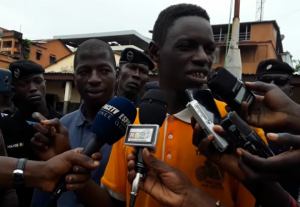 In a video that is going viral on social media, Boubacar Diallo, a student at a technical college in Mamou, Guinea, said he knew the gravity of his crime and acknowledged that he could be jailed. Diallo and his accomplice freely admitted to stealing 50million Guinean francs (N2million) from a phone shop in the north-western city. In the video, Diallo rallied support for the Police, saying more resources should be given to them. Diallo said he regretted his crime and would never go back to it again.